Attendance grows as the town holds it's 45th version of the annual celebration for children and other residents. Spain has the running of the bulls. But on Labor Day, for the 45th time, Norridgewock had the running of the frogs. 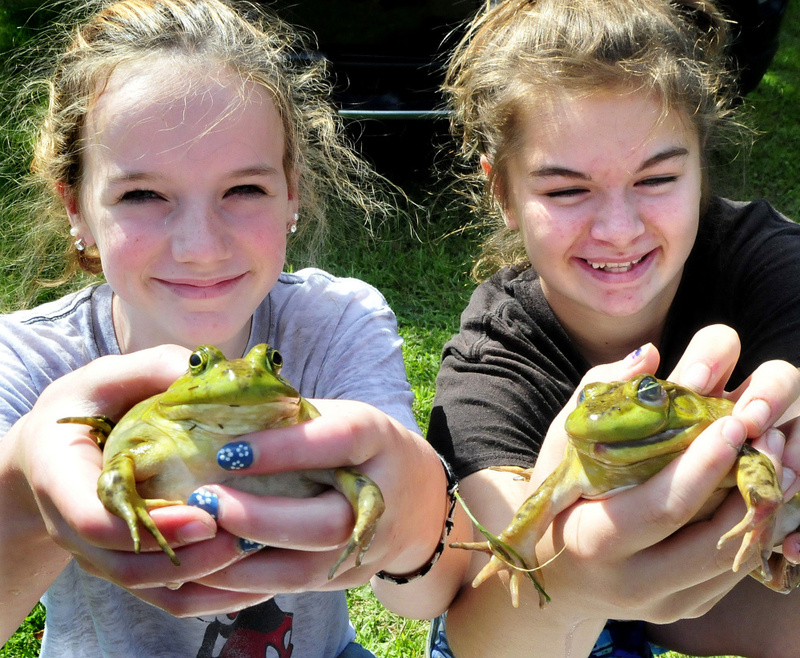 Monday marked the 45th annual Oosoola Days for the Somerset County town, a celebration for residents to come together as a community and partake in various events, including the annual frog race. Val Trial, one of the event organizers, said she has been involved since 2004, but remembers going to Oosoola Days when she was a child. Trial said she had never seen as many attendees as she did Monday, when a few hundred gathered for events that began with a parade from the Mill Stream Elementary School and included a pet show, sack races, a three-legged race and watermelon eating contest. She said there were more vendors this year than ever before as well. “It has been amazing. I’m overwhelmed,” she said. Oosoola Days is a two-day event. It began Sunday at the Central Maine Regional Airport with a 5k race, airplane rides and touch-a-truck feature, and culminated on Labor Day at Oosoola Park off Route 2 on the banks of the Kennebec River. Trial said participating businesses and vendors, such as Darling’s Ice Cream Truck and the Norridgewock Sportsman Club, had been very supportive. Those in Oosoola Park couldn’t have asked for a lovelier day Monday, which saw sunny skies and temperatures in the 60s. “This is what I’ve wanted it to be for so many, many years,” Trial said. There was a bounce house for kids, and also a playground. Before the frog race, kids were outside the park selling frogs they had caught that day, in case anyone wanted to join the race at the last minute. Lindsay Obert said sales hadn’t been great Monday morning, but she didn’t seem deterred. She said she sold frogs at last year’s Oosoola Days as well. “Some of the bullfrogs are $6 or $7,” Lindsay said, a cooler full of big frogs sitting before her. She said she had about 12 frogs to sell. “I catch frogs all the time,” she said. 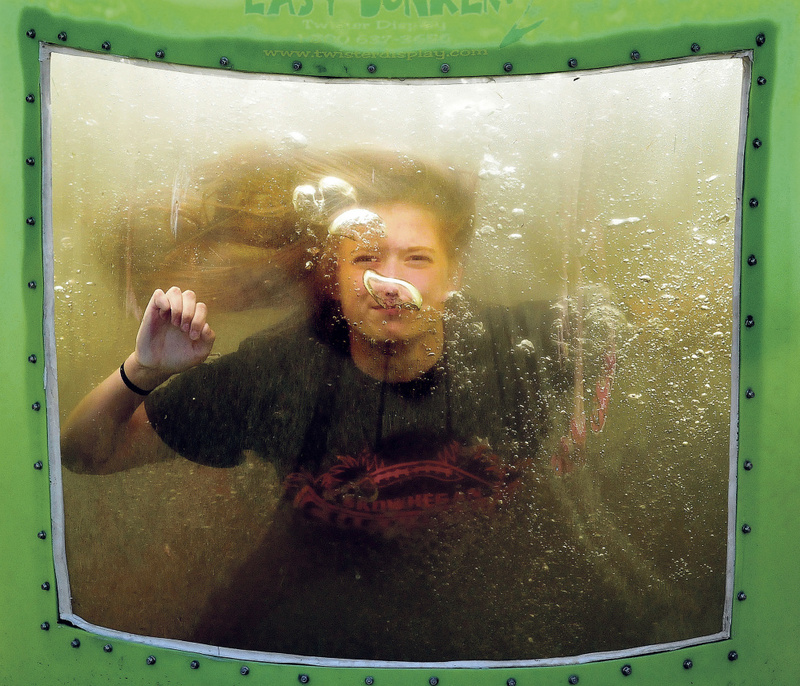 Town Manager Richard LaBelle, before taking his turn at the dunk tank, said Oosoola Days requires a lot of planning, and that a small team had been working on the event since December. It was worth it, he said, because of the great turnout. “It’s a good time for Norridgewock,” he said. Trial said she remembers when her own kids were selling frogs for the race, and eventually got older and started helping run events. She said Oosoola Days used to be held before the start of school, as a send-off for the kids. Eventually it moved to Labor Day weekend and became a community event full of activities. “The kids are so pumped when they come to the circle,” she said, referring to the circle for the frog race. The race – with categories for children, intermediates and adults – features participants with their frogs at an outer circle. They then release their frogs and clap, stomp the ground or blow on the frogs to get them to hop into an inner circle. “Sometimes there are so many kids we have to have a bracket,” Trial said. 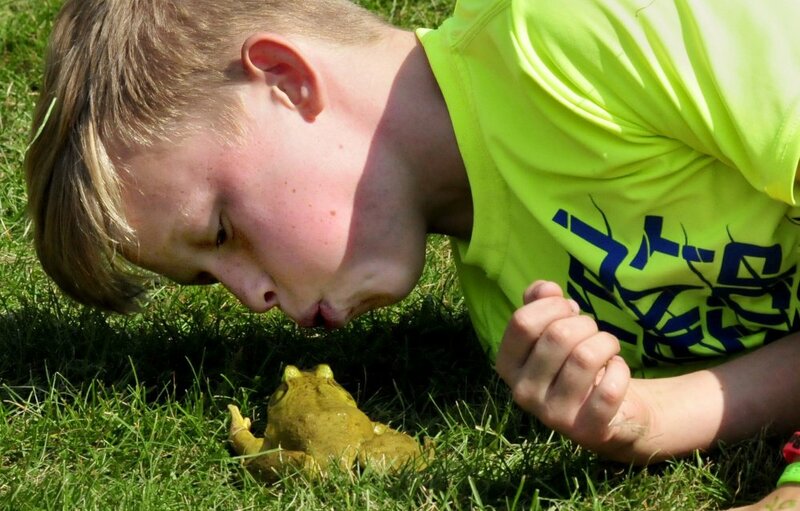 One of the participants, Dylan Morrissey, said he caught his frog the day of the race and named it “Frogzilla.” Dylan, who is from Connecticut, tried with all his might to urge Frogzilla to hop into the circle, but eventually the frog gave up. “He wouldn’t move,” Dylan said. Sean Morrissey, Dylan’s father, said they have family in Norridgewock and frequently come to Oosoola Days. He joked that Dylan had been training all week for the frog race, and that it was Dylan’s first time doing the race. “We come up all the time,” Morrissey said. In addition to the frog race, the Morrisseys said they enjoyed going to the airport Saturday and the food vendors, including one selling handmade whoopie pies. When asked what might become of Frogzilla after the race, Dylan was quick to answer. “Probably eat him,” the boy said. Trial said the frogs are generally returned to wherever they came from and are released back into the wild after Oosoola Days. She estimated that things were going well for the 45th annual celebration, which she stressed was for the kids. Trial remembered coming to the event since she was 5 years old, and now said she felt humbled to see it so successful. “We used to be one of these kids running around,” she said.